Software-as-a-Service, or SaaS, isn’t a new concept. This idea that companies can take on-premise software solutions, host them through the cloud and offer them in a subscription package to customers has been around for a while. But, just because the SaaS concept has been around for a while, that doesn’t mean it’s too late to jump on the SaaS bandwagon. Truth be told, SaaS stocks in the right industry are winning stocks. They are high-growth companies because they align with the secular pivot to cloud solutions, and they’re high-margin companies, too, because the costs associated with delivering a cloud-hosted software service at scale are small. Plus, SaaS stocks are also supported by steady and predictable subscription revenue streams. Broadly speaking, then, SaaS stocks are often big growers with big margins and lots of revenue predictability. That combination usually makes SaaS stocks big winners in the long run. This trend won’t reverse course any time soon. Only 20% of enterprise workloads have migrated to the cloud, so the runway for cloud growth remains long and promising. Meanwhile, margins will likely only head higher as the industry scales, and revenue predictability won’t waver. Overall, then, it’s not too late to get bullish on SaaS stocks. With that in mind, let’s take a look at seven SaaS stocks to buy for long-term gains. One of my favorite SaaS stocks is Shopify (NYSE:SHOP). In short, Shopify offers e-commerce solutions to retailers of all shapes and sizes so that any seller can sell any item to any buyer through any channel. These solutions have both tremendous value, and tremendous room for growth. On the value side, consumers are increasingly connected to content and products through various digital channels. Retailers need to connect with consumers through those various channels. Shopify gives them the tools to do so. On the growth side, Amazon (NASDAQ:AMZN) owns about 50% of the U.S. e-commerce market. That’s unsustainable. Over the next several years, the e-commerce market will democratize as retailers pivot more aggressively into digital. That pivot will include a bunch of those retailers adopting Shopify’s solutions. Overall, Shopify is a winning SaaS stock. The stock has already increased ten-fold over the past three-plus years. But, with revenue growth running at 50%-plus and margins roaring higher, SHOP stock will only keep heading higher in the long run. Another one of my favorite SaaS stocks to buy for the long haul is Twilio (NASDAQ:TWLO). Twilio offers real-time communication solutions to businesses of all shapes and sizes so that they can connect with customers at any point in time through any communication channel. Much like Shopify, Twilio’s communication solutions have both tremendous value and tremendous growth potential. On the value side, customers increasingly demand a unique and personalized customer experience. A big part of that is personalized and real-time communication. Twilio offers solutions that allow businesses to do just that, and dramatically improve their customer experience. On the growth front, Twilio has less than 65,000 customers. There are 30 million-plus businesses in the U.S., and somewhere around 200 million across the globe, nearly all of whom will develop a need for Twilio’s services as real-time communication becomes a vital part of the customer experience. Overall, Twilio stock is a winning SaaS stock with big growth potential. Gross margins are also high, and operating margins are scaling nicely with revenues. As such, Twilio projects to be a big winner for a lot longer. A bigger SaaS stock that also falls into the long-term winners category is Adobe (NASDAQ:ADBE). 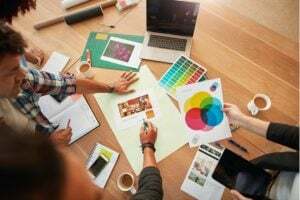 Adobe does a lot of things, but at its core, the company offers creative and visual-oriented cloud solutions to creative amateurs, creative professionals and businesses. Adobe’s business breaks into three categories, all three of which are big growth categories. First, there’s the Document Cloud, which enables customers to sign, edit, amplify and organize digital documents. This business is supported by the secular rise in enterprise-level digital workload adoption. Second, there’s the Creative Cloud that delivers second-to-none, visual-focused editing solutions. This business is supported by a global consumption shift toward visual-first content. Third, and perhaps most importantly, there’s the Experience Cloud, which is an enterprise-level cloud solution aimed at improving the customer experience. This business is supported by a global shift to an experience-driven economy. Ultimately, Adobe has three big growth businesses, the sum of which create a $100 billion-plus revenue opportunity for Adobe. Revenues this year are projected at just $11 billion. Thus, there’s a long runway for growth ahead. Also, gross margins are really high, and this company has a chance to run at 50%-plus operating margins one day. 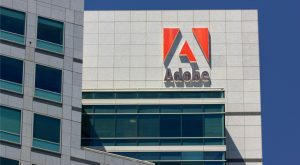 Overall, Adobe is a big company with big growth potential ahead, a combination that should lead to Adobe stock trending higher in the long run. One of my favorite under-the-radar SaaS stocks is Axon (NASDAQ:AAXN). Axon provides cloud-hosted and next-gen solutions aimed at upgrading, optimizing and digitizing law enforcement processes of all sorts. The idea here is pretty simple. One area of the market that the big technology revolution hasn’t hit as hard is the law enforcement world. 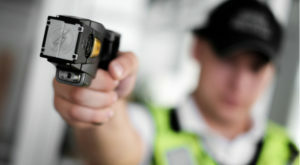 But, as the world gets more technologically advanced, the need for a law enforcement tech makeover gets bigger. Axon wants to help them with that makeover, and that includes selling smart weapons, body cameras and various related cloud solutions (like a records management system). There are a few things that make Axon attractive as an investment. For starter’s, the secular growth narrative of digitizing the law enforcement world is very healthy and it has a lot of room for growth. Second, Axon sells to law enforcement agencies, so demand is largely recession-proof. Third, revenue growth has consistently been north of 15% for a long time. Fourth, margins are roaring higher thanks to the software pivot. All in all, Axon has all the makings of a winning SaaS stock, and I fully expect this stock to head way higher in the long run. Most SaaS stocks are exciting, and all the SaaS stocks on this list are very exciting. But, one of the more exciting SaaS stocks on this list is Okta (NASDAQ:OKTA), given the company’s unique approach to a potentially huge market. Broadly speaking, Okta is pioneering what management calls the identity cloud. The whole idea of the identity cloud is enabling enterprises to securely adopt any technology and/or software, by focusing on protecting a user’s identity. This service has tremendous value in today’s enterprise environment, wherein new technologies and software are being adopted in bulk, and where personal privacy and data protection have become of increasing importance recently. Thus, this is a small company that is consistently and rapidly growing in a huge market. That makes Okta an attractive SaaS stock to own for the long run. One of my favorite SaaS stocks for the long run is The Trade Desk (NASDAQ:TTD), and that’s mostly because this company is the unparalleled leader in a huge growth industry. The Trade Desk is in the field of programmatic advertising. Essentially, programmatic advertising is using machines and algorithms to buy ads. A few years back, the ad buying process involved two or more human parties negotiating back and forth until an agreement was made. This process worked, but it was also time-consuming, costly, and largely inefficient in optimizing ad spend return. As technology has advanced, this process has become better. Now, instead of using human parties to negotiate, big companies are allocating their ad-spend using machines, which take data-driven inputs to optimize ad spend, and do so quickly, dynamically and without labor costs. The Trade Desk is the undisputed leader in offering programmatic advertising solutions. As such, the company has been a big grower for the past several years as programmatic advertising has really come into its own. This growth narrative is far from over. While programmatic advertising is already dominant in some advertising markets (like mobile), it is much smaller and less known in other advertising markets (video, audio, offline, so on and so forth). Eventually, programmatic advertising will become big in those other areas given its cost, time and efficiency advantages. As such, at scale, all $1 trillion worth of global advertising dollars will be transacted programmatically. Gross spend on The Trade Desk’s platform was under $2.5 billion last year, meaning there’s still a long runway for growth ahead. That long runway, coupled with big margins, should keep TTD stock on a winning path. Perhaps the godfather of all SaaS stocks is Salesforce (NYSE:CRM), and that’s because this company is a $100 billion-plus empire built on enterprise SaaS cloud solutions. Broadly speaking, Salesforce is the company both at the heart of and leading the cloud and data revolutions. The company offers cloud-based solutions that leverage analytics, data and AI to optimize enterprise operations of all sorts, ranging from sales, to marketing, to engagement. This market has big growth potential, mostly because the cloud revolution is still far from over (only 20% of enterprise workloads have migrated to the cloud) and the data revolution is just getting started (the volume of data globally is expected to surge higher over the next several years). 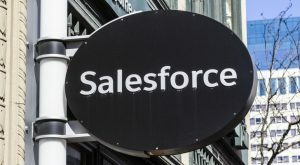 Thus, as cloud adoption permeates and data volume surges, Salesforce will continue to win over clients and be a big grower in the SaaS market. This big revenue growth will couple with healthy and expanding margins, and continue to power robust profit growth. So long as the robust profit growth narrative remains intact, CRM stock will head higher. As of this writing, Luke Lango was long SHOP, AMZN, ADBE, AAXN, OKTA and TTD. Article printed from InvestorPlace Media, https://investorplace.com/2019/03/saas-stocks-to-buy-for-long-term-gains/.